Japanese Sakura, the special type of cherry trees, is world famous. Every spring it attracts a lot of people from all over the world, who want to witness the explosion of colors and the coming of a new season. 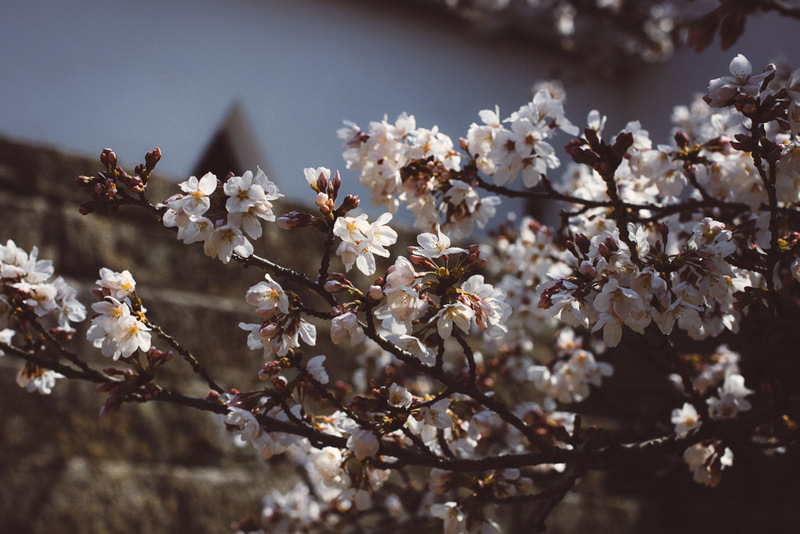 Did you know Japanese have a very special ritual for greeting spring and the cherry blossoms? In this post, I will tell you about the etiquette of sakura admiration and show you some of my most favorite photographs I have made in Japan. I’ve also hand-prepared a downloadable pack of 30 high-resolution photos for you to use as you wish! Hanami, or flower viewing, is a thousand-year-old Japanese custom. People celebrate the beginning of spring and admire the beauty of cherry blossoms. 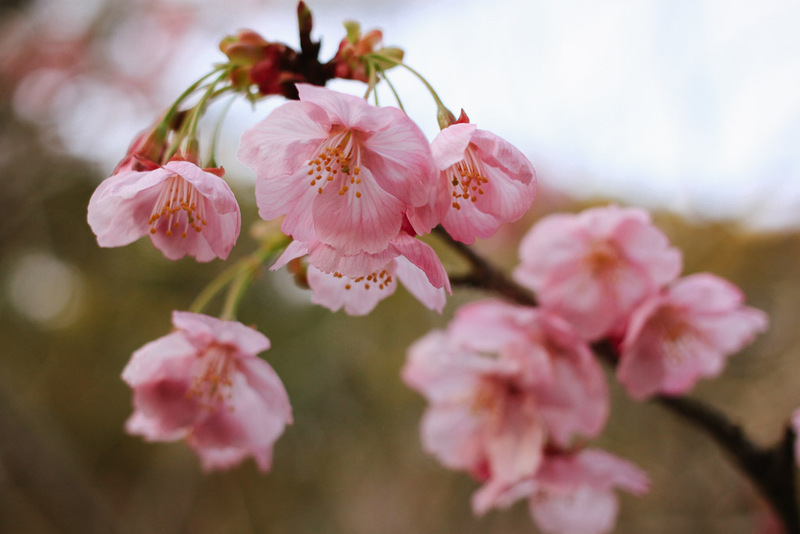 The Sakura has always been considered a sacred tree by Japanese and is a symbol of the country today. Families, friends, co-workers, school classes and couples gather in parks for the time of blossoming, and picnic under the trees. It is a happy and festive time to spend with dear people and enjoy the beauty of the trees, exploding with blossoms. Sometimes these festivities can last the whole day and up till the late night. 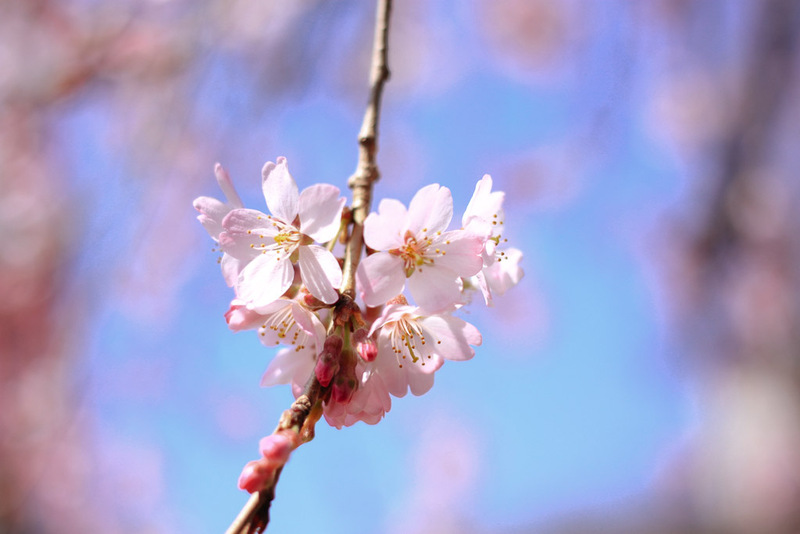 The period of the cherry blossoming is very short, not more than two weeks, so people are trying to get the most of it. This tradition has great importance to Japanese today, and especially, a lot of young people do this with their friends. Cherry blossoms don’t last, so this makes this gathering with friends, or family, a special moment to remember. Before the age of technology, only some very skilled artists were able to capture the delicate beauty of the sakura. All others were watching it for hours, admiring the passing beauty of the sacred tree. Nowadays in the age when everyone has a camera or a smartphone with a camera, the ritual has changed a bit. Already with the appearance of the very first blossoms people gather around the trees and photograph them. Especially in the beginning of the season, the trees with the first opened sakura blossoms are surrounded by dozens of people, trying to get a great shot. It might sound disturbing, but Japanese have a great respect for nature and would never harm the quietness and harmony of the happening. 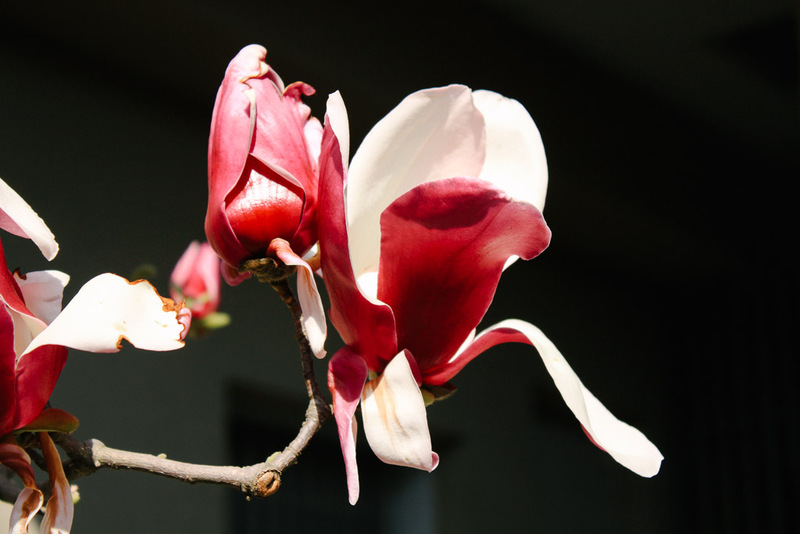 I tried to capture the delicate beauty and purity of spring in Japan. With these images, I want to express my gratitude to nature for allowing us all to witness these incredible moments. From Japanese culture, I have learned a lot about the attention to details, so many of my photos are close-ups. Just like Japanese do, I tried to admire and celebrate the beauty of every little flower.